alaTest has collected and analyzed 366 reviews of Canon EOS 5Ds / 5Ds R. The average rating for this product is 4.7/5, compared to an average rating of 4.4/5 for other Digital Compact Cameras for all reviews. People really like the screen and durability. The usability and performance also get good comments, but there are some negative comments about the storage and connectivity. Reviews about the memory and price are different. We analyzed user and expert ratings, product age and more factors. Compared to other Digital Compact Cameras the Canon EOS 5Ds / 5Ds R is awarded an overall alaScore™ of 94/100 = Excellent quality. 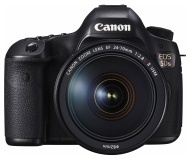 alaTest has collected and analyzed 12 user reviews of Canon EOS 5Ds / 5Ds R from Amazon.co.uk. The average user rating for this product is 4.6/5, compared to an average user rating of 4.3/5 for other Digital Compact Cameras on Amazon.co.uk. Reviewers are impressed by the focus and reliability. The screen and performance are also mentioned favorably, but opinions about the usability and price are different. The size and design get critical views. alaTest has collected and analyzed 58 user reviews of Canon EOS 5Ds / 5Ds R from Amazon.com. The average user rating for this product is 4.7/5, compared to an average user rating of 4.2/5 for other Digital Compact Cameras on Amazon.com. People are impressed by the screen and portability. The usability and image quality also get good views, but opinions are divided on the durability. 95% of the reviews on Amazon.com give this product a positive rating. For photography purists, Canon's 5DS R DSLR delivers outstanding stills at a whopping 50.6 megapixels. Canon's EOS 5DS D-SLR has a high-resolution sensor that filters out color moiré, but it sacrifices a little detail in the process. Highest resolution in class. 5fps burst shooting. Full-frame image sensor. Dual memory card slots. 61-point autofocus system. Intervalometer and time lapse support. Sharp rear display. Solid control layout. Medium and Small Raw capture modes. 1080p video. Limited to ISO 12800. Optical low-pass filter detracts from detail. Omits in-camera Wi-Fi and GPS. Lacks built-in flash. The Canon EOS 5DS R offers the most resolution you'll find in a full-frame SLR, but its high ISO capabilities are limited. Limited to ISO 12800. Not a true OLPF-free design. Omits in-camera Wi-Fi and GPS. Lacks built-in flash. With 50-megapixel resolution and anti-aliasing-filter cancellation, you'd expect the 5DS R to be the sharpest Canon yet. Take a look at what a preproduction sample of the camera yielded. The company's new 5DS and 5DS R full-frame dSLRs are its bid to compete with cheaper medium-format models. The Canon EOS 5Ds is a professional dSLR providing and amazing 50.6-Megapixels of resolution, great performance from the dual DIGIC 6 processors and Full 1080p HD video for those looking for more than just still images. Read more in our Full Conclusion. Note: The EOS 5DS and EOS 5DS R are basically the same camera. The only differences are the 5DS R has no low-pass filter, and costs about $200 more.